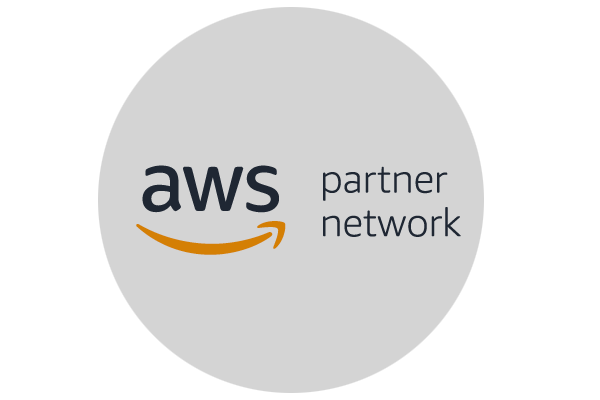 As a company born in the Amazon Web Services (AWS) cloud, Sumo Logic has been dedicated to forging key strategic partnerships that focus on giving customers the ultimate solution they need to manage and secure their modern applications in the cloud. 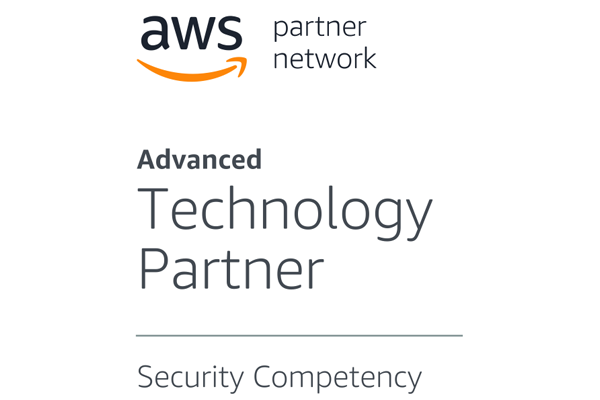 Sumo Logic has been a committed AWS partner since our inception in 2010 and today we are a proud part of the AWS Partner Competency Program and recognized by AWS as a pre-qualified tool that integrates with and can extend AWS services and management APIs to meet unique customer needs. Watch this video to learn how Sumo uses AWS to ingest massive amounts of log data. Sumo Logic has demonstrated experience helping customers move to AWS more quickly, with greater application build and run insights while leveraging modern application development frameworks like DevOps. By ingesting and analyzing telemetry and feedback at incredible speeds, developers gain valuable real-time insights for testing and improving applications on a continuous basis. This saves time, lowers network overhead costs, and dramatically reduces the time-to-market cycle. Sumo Logic’s AWS applications run seamlessly to provide continuous intelligence into your cloud, hybrid, and on-premises environments. Our cloud-native machine data analytics platform helps analyze data across AWS apps and environments using machine learning to proactively provide insights and troubleshooting to quickly and automatically identify and correct common problems with build failure, anomaly reports and security issues. Sumo Logic is the industry’s most secure machine data analytics platform with a holistic focus on keeping your sensitive data secure. Sumo Logic meets rigorous security, privacy, and compliancestandards, including FIPS-140 level 2 compliance, General Data Protection Regulation (GDPR) compliance, HIPAA, ISO 27001, PCI DSS and SOC 2 Type II, coupled with AES 256-bit, TLS, and KEK encryption to ensure the Sumo Logic platform and your data are continuously adherent to modern security best practices and procedures. As the volume, complexity, variety and speed of data continues to increase, traditional security tools and SIEMs cannot keep up. Modern malware, data breaches and security threats will only become more prevalent, and will require a more proactive, agile approach to secure modern applications in the cloud. With cloud security analytics from Sumo Logic, customers can get a real-time actionable view of AWS services to bolster protection of cloud applications and data. In addition, customers can monitor key security metrics and indicators of compromise (IOCs) in real-time to rapidly identify and resolve problems, as well as detect outliers, abnormal log patterns, and user activity that deviates from normal behavior to keep the entire AWS and hybrid stack secure. 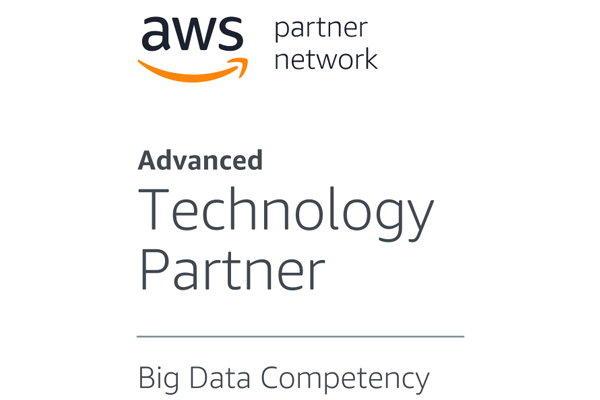 AWS Big Data Competency Partners have demonstrated success helping customers evaluate and use the tools, techniques, and technologies of working with data productively, at any scale. With over 100 petabytes of data analyzed daily, Sumo Logic knows Big Data. Sumo Logic has proven experience operating web-scale Big Data solutions that help customers convert Big Data into operational and security analytics insights. 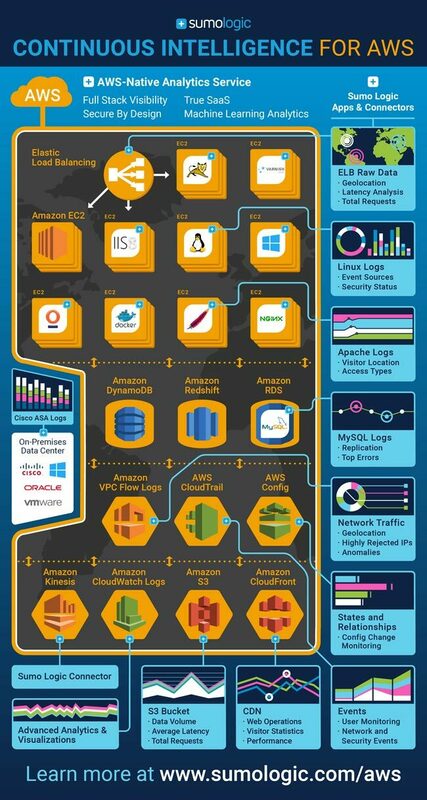 See this infographic to find out how Sumo Logic gives you operational visibility with a unified view across your entire AWS infrastructure.